Cholesterol and saturated fat have been dietary items most of us try to monitor or even avoid. But new research has found that these dietary items are actually beneficial for human health in certain quantities. This new research has turned the “don’t eat the yolk” statement upside down. Did you know? 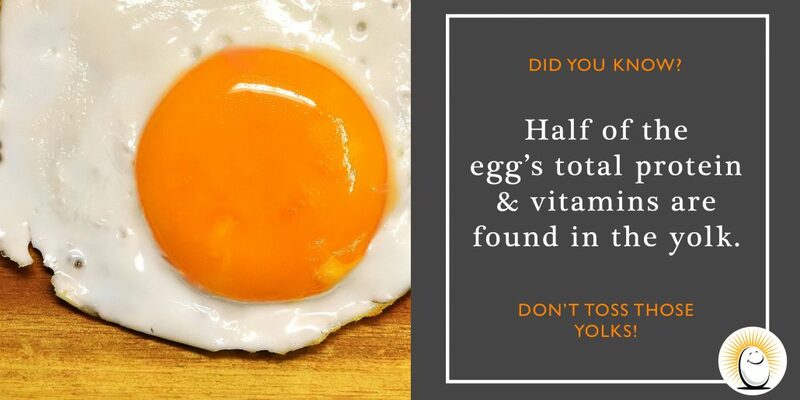 The egg yolk contains about half of the egg’s protein as well as several good-for-you nutrients such as vitamin D, vitamin B-12, choline and selenium. Choline plays a role in fetal brain development making eggs a great choice for pregnant women. Let’s not forget about lutein and zeaxanthin which are both shown to play a key role in eye health. So what’s an egg lover to do? With only 70 calories per large egg and loaded with nutrients, you should be eating the entire egg! Don’t toss those yolks, folks!